The event was filmed for ‘Bluebird’, the first-ever in-depth documentary about the influence the 90-seat venue has had on singers, songwriters and popular music in general. The film is in the final stages of production and heading towards post-production stage. Morris has quickly established herself with vocal stylings that reflect her country, folk and pop influences. Armed with sheer talent, honest lyrics and a completely magnetic presence, Morris’ label-debut album, the Gold-certified “Hero”, released via Columbia Nashville on June 3, 2016. One week after it was available, Hero entered the BillboardCountry Albums chart at No. 1 and No. 5 on the Billboard Top 200 Chart, which spans across all genres. Morris was also named Radio Disney’s Best New Country Artist at the 2017 Radio Disney Music Awards. Morris wrapped 2017 with the conclusion of her first-ever headlining “Hero Tour 2017”, which also included dates in the U.K. 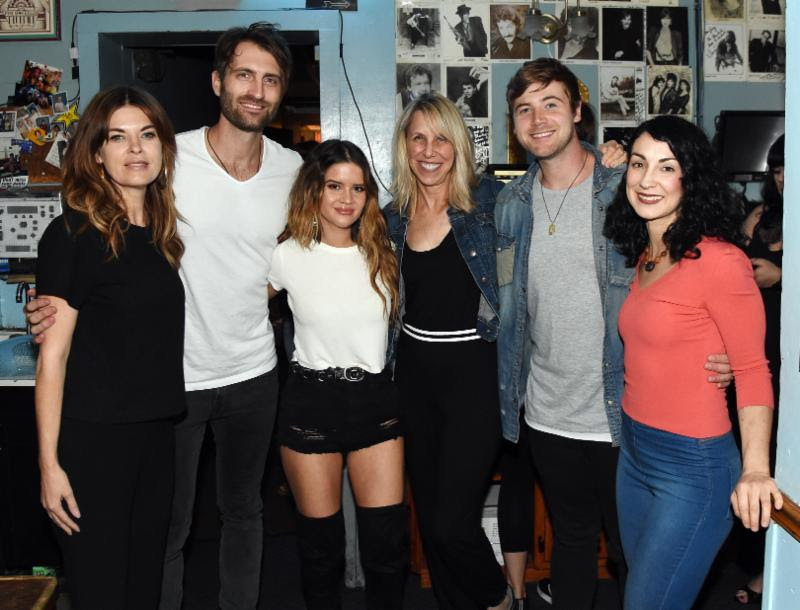 Looking ahead at 2018 Maren received her fifth career Grammy Award-nomination for Best Solo Country Performance (“I Could Use A Love Song”) for the 60th Annual Grammy Awards. In addition “I Could Use A Love Song” was Morris’ first No. 1 country radio single, as both the performer and songwriter, reaching the top of both Billboard Country Airplay and Mediabase Country charts the week of January 15, 2018. Fans can keep up with everything Maren Morris is up to on Facebook, Twitter and Instagram.